Fila USA announced that it will conduct a national casting call of “real women” for the fall 2011 Body Toning System (BTS) fitness apparel collection's national marketing and advertising campaign. Spurred on by the success of the company’s first real women campaign in fall 2010, Fila has decided to expand the casting call for non-professional models ages 25 – 50 beyond the New York City area to include the entire country via online video casting submissions. We want to expand the opportunity to real women across the country. Fila USA announced that it will conduct a national casting call of “real women” for the fall 2011 Body Toning System (BTS) fitness apparel collection's national marketing and advertising campaign. Spurred on by the success of the company’s first real women campaign in fall 2010, Fila has decided to expand the casting call for non-professional models ages 25 – 50 beyond the New York City area to include the entire country via online video and photo casting submissions. Entry submission videos and photos will be accepted through the company’s dedicated FilaToning Facebook page from March 7th through midnight on April 8th 2011. The next “real women” models for the brand’s 2011 campaign will be decided by the final selection panel which will consist of Fila’s fall 2010 campaign “real women” models. On April 11th, Fila will host a live web stream of the selection of the new “real women” of the Body Toning System which will be accessible via Fila’s Facebook page. Since the 2011 entry videos and photos will be displayed on the FilaToning Facebook page, an additional finalist will be selected by the general public by a “People’s Choice” social media competition for the entrant with the most Facebook “likes” on their video or photo. Fila will officially announce the winners of the BTS online casting call on the FilaToning Facebook page on April 14th. These women will become the faces and bodies of Fila’s fall 2011 Body Toning System fitness apparel collection which boasts design refinements and expanded styles and colors. Each of the winners will receive a $1000 grand prize and be flown to an all expenses paid photo shoot. The winners will model Fila’s fall 2011 BTS collection in which the resulting images and videos will be used for print and online advertising as well as in-store display materials. The 2010 women of Fila’s Body Toning System are currently featured on the FilaToning Facebook page as well as in all of the online assets supporting the current BTS collection. Special webisodes of the casting call with the celebrity panel and interviews with each of the seven women are available on the Fila YouTube channel. Fila also engages in a Twitter campaign @filatoning and hosts Twitter parties to chat about fitness, healthy living and the Body Toning Collection. Fila’s marketing program also integrates celebrity seeding and retail promotions. 2011 marks the centennial of the Fila brand which was established in the small textile town of Biella, Italy in 1911 by the Fila brothers. 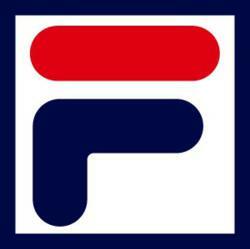 Fila is now a leading manufacturer of sport and leisure footwear and apparel distributed worldwide. The internationally respected company, having gained world class recognition in tennis apparel, has developed brand recognition by marketing high design and style content products that are endorsed by professional athletes from around the world. For a catalogue or more detailed information about the Fila Body Toning System Collection including line sheets and/or images, please contact LaunchPad PR 310-397-4321.